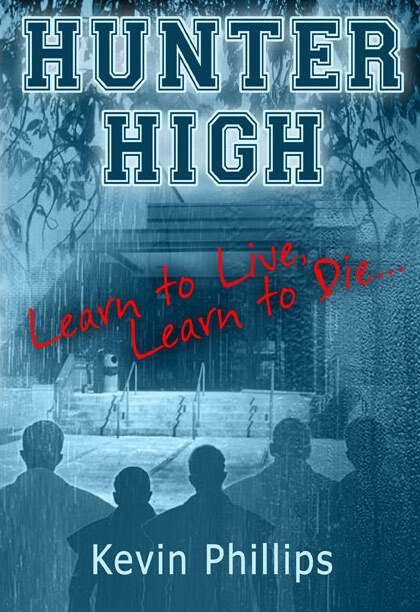 Three years after surviving an armed student siege, high school counsellor Danielle Bennetton sets out to recount the day's events and bear witness to the forces of evil that stalked the halls of Hunter High. A gripping, insightful and haunting novel that dares to probe behind today's headlines. Catharsis – that’s what I need – deep purging and thorough cleansing. I need to relive that day in hindsight. I have thirsted for the time to identify and mourn and bury the dead. Not file numbers, or forensic photos, or snippets of testimony – but the events of the Siege appreciated as a story and recounted as a story, as an episode set within the context of people’s larger life stories, a memorial to a collision of lives that lasted less than an hour. It happened in a flash, but we thought it would never end. It’s a story about an intersection of lives and deaths, mistakes and misunderstandings that were prohibitively expensive, and yet which continue even today in the hallowed halls of our educational institutions. Critics may try to ban this book from our classrooms and censor its tale of terror and violence but such a ban, I fear, would ultimately create more victims than ever fell that day at Hunter High. Some from the educational and judicial systems have voiced their fears that such a book would only inspire other confused, angry and unstable young students to copycat the original crimes. But I believe just the opposite – that evil, like all deadly viruses, thrives and breeds best in the dark and can only ever be destroyed if identified, labelled and exposed for what it is. It’s taken three stressful years but I’ve finally come to realise that I can never learn from a truth that is swept under the rug, and that each of us is ultimately responsible for our own response to evil. Yesterday, when I told my publisher that I was going to write this book, she was very supportive and immediately launched into advice about format, re-write schedules and deadlines. I listened politely for twenty minutes, but after I got off the phone with her I booked a cabin by the beach for four weeks, turned off my mobile phone and sent an email advising her that I would write this story only once – for me. There will be no re-writes. Nor will there be any teak wood nameplate to mock me here in this cabin – I left it back on my desk at home. Out of touch with everyone for four weeks in this cabin by the beach yet, hopefully, more in touch with myself and the truth than I have ever been. Just me and the nine hours of audio and video recordings that were used as evidence for the Inquests. What you are about to read is my retelling of the events three years after they happened, as best I can communicate them. And that’s no simple task because simultaneous events were experienced by different people in different locations. Therefore I must warn you in advance that one minute of real time can seem like five or ten when recounted from five people’s points of view – with life and time impossible to ever truly capture or communicate in any word or image or medium. I also warn you that if you choose to read on you will be sharing in my catharsis – and my experience of evil. Police reports and coroner’s inquests are not intended nor equipped to address evil. My publisher began to advise me on the literary devices employed in the bestselling fictional novels about evil. But the existence and power of true Evil is not fiction, certainly no source of entertainment. It is not taught in our schools nor recognised in our counselling – yet I walked with Evil as it stalked the halls and hearts of Hunter High that day and then I wasted three years trying to explain and analyse it away. And now that I am finally committed to conveying the truth about what I witnessed in the corridors and classrooms during the Hunter High School Siege I am determined not to pander either to the strategies of publishers or the appetites of readers – even if that means I am never published and I end up holding the only copy of the whole story ever printed.